Christianne loves words. She has always been writing, whether short stories or co-authoring Dog Magazine as a 7-year-old. Back in 2000, Christianne hooked up with a group of aspiring writers and began working with them to critique each other’s writing. After submitting various half-finished pieces, she was inspired to use one of them to begin a novel. With her group’s encouragement, she wrote the novel over a course of several years, and finished it the summer after her first year in law school. 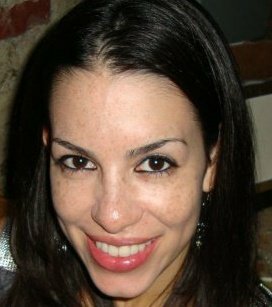 The editing process took a backseat until law school and the bar exam were complete, and she self-published Hedgedthrough Smashwords in January 2012. Next, Christianne plans to figure out what she wants to do when she grows up. She is also thinking about the topic for her next novel. She lives to snow ski, loves her fiancé Sterling, their dog Silver and their cat Buttercup. She really digs cars and 6-speed manual shifting. She is currently in Houston, Texas, but she dreams of cooler temperatures and living in Colorado. Christianne watches college football and cheesy television like Gossip Girl, and drinks lots of white wine and vodka (not together). Psst! Before you go--did I mention the plums?